Neurological Visual Impairment: this is also known as cortical visual impairment or cortical blindness. Causes include anything that affects the visual pathways in the brain such as sustained congenital brain infections, traumatic and anoxic brain injury. The eyes are normal but the visual processing areas of the brain that interprets incoming visual information, is abnormal. This is the cause for visual impairment in up to 21% of children. Vision is affected in different ways and different visual tasks are affected in each individual case. 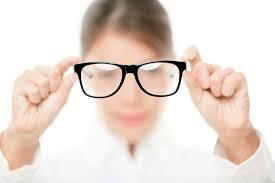 Some improvement can occur in the first few years of life, and vision often fluctuates. There is no specific treatment other than vision and other early intervention services to optimize the child’s use of his residual vision. Some children develop vision problems after they are born. One of the most serious conditions – but fortunately rare – is called retinoblastoma. Retinoblastoma: is a rare cancer of the retina. The retina is the innermost layer of the eye, located at the back of the eye that receives light and images necessary for vision. About 250 children in the US are diagnosed with this type of cancer each year. It mostly occurs in children under the age of 5; the highest incidence of the disease occurs between infancy and age 2. Both males and females are affected equally. Retinoblastoma can occur in either eye; however, in about 25 to 30 percent of the cases, the tumor is present in both eyes. Other common conditions are milder and although they may cause some visual impairment, there are treatments which can help. 1... Every couple should think before conceiving whether they want any child even blind or a healthy child without blind. 6.. As per medical astrology 2nd and 12th places represent right and left eye for males ...left and right eye for females... These houses should not defected during their union.